“I was a bit apprehensive hiring a lawyer for the first time. However, Michael was there to help me and address all my concerns regarding my motorcycle incident. I highly recommend his services, and….” – D Van. 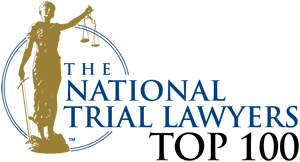 “Michael Padway & Associates has restored my faith in the legal profession. Thanks for all your help! One of the most honest and straight forward lawyers I’ve spoken with. I submitted my inquiry….” – John S.
Michael Padway and Associates is recognized as the “go to” motorcycle accident attorney for injured riders. Michael Padway has lectured nationally for the American Bar Association, written for motorcycle enthusiast publications, his blog posts are extensively re-circulated on the internet, and motorcycle riders all across the country call him to help with their legal situations. He is frequently called upon to straighten out cases mishandled by a non-motorcycle accident lawyer. 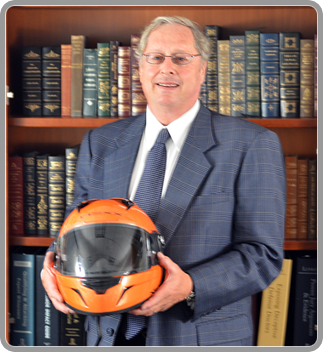 A founder of the Motorcycle Legal Foundation, he is always available for riders needing legal assistance. In addition to many years of riding experience as a member of the motorcycle community, Michael has extensive background in personal injury matters, including head injuries, spinal injuries, and multiple fractures. As a motorcycle accident lawyer, he understands motorcycles and motorcycle accidents intimately, and has created a system for moving motorcycle accident cases through the settlement process. You Have Already Found The Motorcycle Accident Lawyer Other Injured Riders Turn To! The next step is for us to discuss your accident, your injuries, and your legal needs. Let’s talk about the process, what you are facing, and how we can help. We’ll discuss what you need to do, what we can do for you, and what you can expect going forward. As you case progresses, we will work with you every step of the way, so that we make it as comfortable for you as possible, preparing you so that you don’t feel like you are just a target for some insurance company lawyer. Your case needs to be presented in terms the insurance companies understand and accept, with documentation prepared so that it works within their system. If your case is not presented in the right way, it will not work with their internal systems, and you may end up in an unnecessary, expensive, and unpleasant trial. Insurance companies often have difficulty understanding the peculiarities of motorcycles. Someone needs to patiently and carefully explain how motorcycles differ from automobiles. Few motorcycle accident attorneys understand not only the mechanics of motorcycles, but the mechanics of motorcycle accidents.